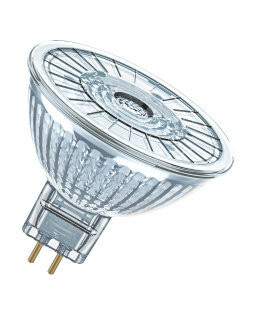 OSRAM LED SUPERSTAR MR16 12v 5 watt, warm white, dimmable. 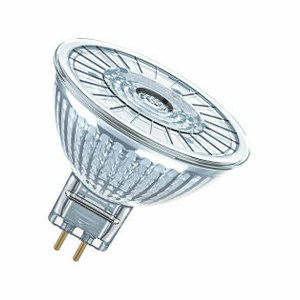 Dimmable very energy-efficient halogen replacement with GU5.3 lamp base. Led spot that replaces a 35 watt halogen bulb. This compact dimmable mr16 led light bulb is easy to install and gives 350 lumen. You can simply use these LED bulbs to replace your current 35 watt light sources. Using the files are recoded in transformer and is dimmable.